Title Fight Continues in France. 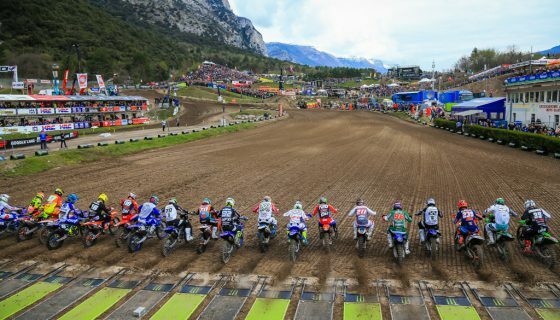 The FIM Motocross World Championship heads back into mainland Europe this weekend for the 2018 MXGP of France at the Saint Jean d’Angely circuit for the 10th round of the season. We are now the halfway point of the season and the MXGP title fight is in full force between Red Bull KTM Factory Racing’s Jeffrey Herlings and Antonio Cairoli. The pair of title rivals have again elevated the level after last weekend’s epic battle where Herlings stole both race wins and the overall from Cairoli during the final laps of each races. 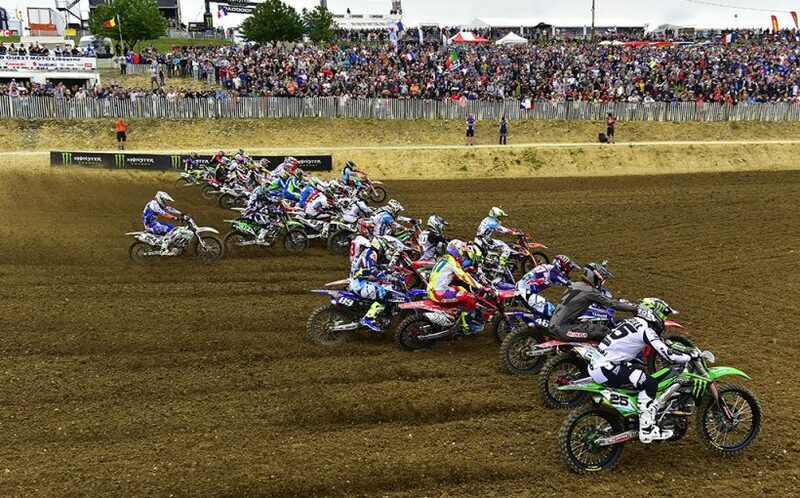 The Saint Jean d’Angely circuit returns to the calendar and serves as the lone French round this season. The beautiful circuit is known to get rough and challenge the riders which will ultimately lead to great racing. Of course not to forget is the always epic atmosphere created by the French motocross fans who year after year prove to be some of the most dedicated and always show up in large numbers. Joining the World Championship in France is the classes of EMX250 and EMX125 Presented by FMF Racing. In the EMX250 class REVO Husqvarna UK’s Martin Barr and Mel Pocock are fighting for the title but momentum is on the side of Car Glass Honda’s Steven Clarke after his home win last weekend. Meanwhile in the 125 2 stroke class KTM Junior’s Rene Hofer has a 48 point championship lead over Yamaha Europe EMX125’s Thibault Benistant at what is also their championships halfway mark. Leading the way in the MXGP class coming into France is without a doubt Red Bull KTM Factory Racing’s Jeffrey Herlings and Antonio Cairoli. 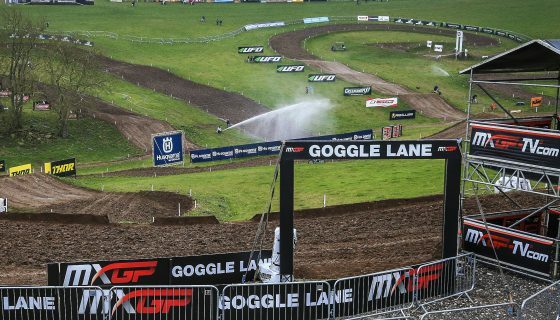 The two have battled many times this year but none were as epic as last weekend’s MXGP of Great Britain. 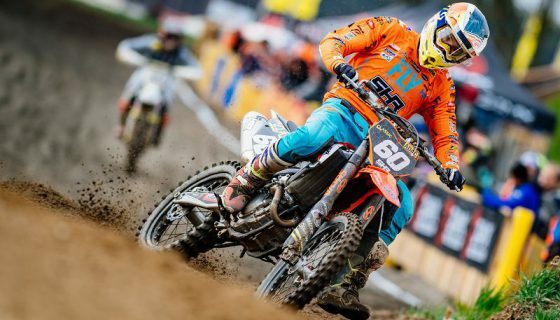 With Herlings taking the wins right out from under Cairoli the action will surely be incredible to watch this weekend. Historically Herlings has won here three times and never been outside of the top 5 while Cairoli has won twice and finished on the podium another three times. Monster Energy Kawasaki Racing Team’s Clement Desalle has also won on the Saint Jean d’Angely circuit with his last 5 visits all resulting in a top five performance. Also to note is that Desalle won on French soil last year but that time it was at the Ernèe circuit. Sitting 4th in the Championship is Monster Energy Yamaha Factory MXGP’s Romain Febvre. Febvre has high hopes for this weekend as not only is it his home GP but he comes into the weekend after scoring his first podium of the season last week. Febvre had memories from the circuit seeing he took the overall victory here at the last visit in 2016. Rockstar Energy Husqvarna Factory Racing’s Gautier Paulin is on a redemption mission after crashes hampered his results in Great Britain. Paulin has scored 2 podium here in the past and will surely be looking to make it three in front of the home fans this weekend. 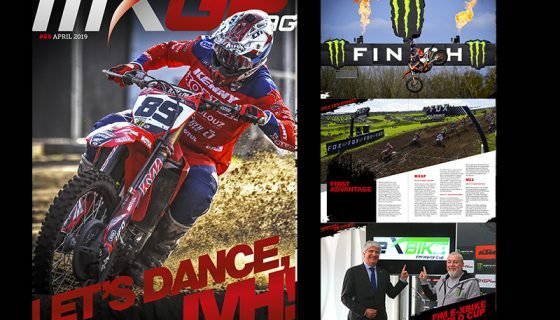 Worth mentioning is Team HRC’s Tim Gajser and Red Bull KTM Factory Racing’s Glenn Coldenhoff. Gajser had strong races in Great Britain, is truly returning to his world champion form and was 2nd overall here in 2016 while Coldenhoff has been mastering the starts and fighting up front more often recently. Also not to forget is BOS GP’s Evgeny Bobryshev who took 3rd overall here in 2016 and comes off his best racing of the season in Great Britain. MXGP Championship Top Ten: 1. Jeffrey Herlings (NED, KTM), 436 points; 2. Antonio Cairoli (ITA, KTM), 382 p.; 3. 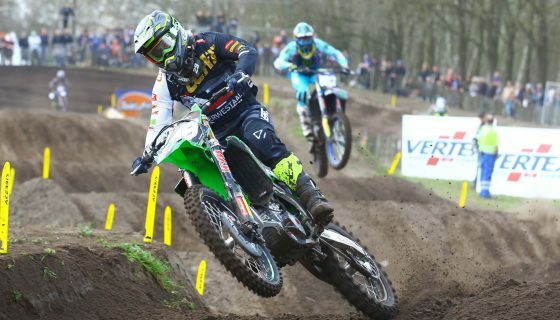 Clement Desalle (BEL, KAW), 314 p.; 4. Romain Febvre (FRA, YAM), 291 p.; 5. Gautier Paulin (FRA, HUS), 267 p.; 6. Tim Gajser (SLO, HON), 257 p.; 7. Glenn Coldenhoff (NED, KTM), 237 p.; 8. Jeremy Van Horebeek (BEL, YAM), 207 p.; 9. Jeremy Seewer (SUI, YAM), 198 p.; 10. Julien Lieber (BEL, KAW), 162 p.
In MX2 Red Bull KTM Factory Racing’s Pauls Jonass continues to battle with his teammate Jorge Prado as the pair have set themselves apart from the rest of the field. Both riders have been consistent and strong starters so far this year. Jonass just missed the podium here with a 4th in 2016 while Prado took 5th in the EMX250 stop that year. Team HRC’s Calvin Vlaanderen has been successfully on the podium the past 2 weeks and will look the new tradition going while Rockstar Energy Husqvarna Factory Racing’s Thomas Kjer Olsen will be keen to achieve a strong finish after scoring zero points last GP due to mechanical issues in both races. Kemea Yamaha Official MX2’s Ben Watson will have been working on his starts this week after they were his lone weakness in Great Britain. Watson’s speed and endurance is clearly on point as he managed to pass his through the field last weekend. Rockstar Energy Husqvarna Factory Racing’s Thomas Covington will be one to watch along with his fellow American, BIKE IT DRT Kawasaki’s Darien Sanayei. Covington took 5th overall in Great Britain with a third in race one and 9th in race 2. Sanayei on the other hand struggled during the race last week but clearly had the speed with the second fastest lap time in last weekend’s free practice. Also worth noting it that Sanayei took double race wins here for the EMX250 overall in 2016. MX2 Championship Top Ten: 1. 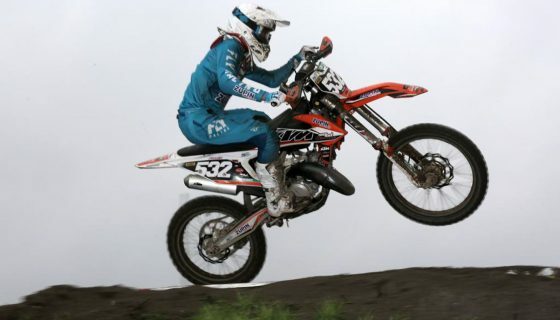 Pauls Jonass (LAT, KTM), 401 points; 2. Jorge Prado (ESP, KTM), 373 p.; 3. Thomas Kjer Olsen (DEN, HUS), 288 p.; 4. Ben Watson (GBR, YAM), 279 p.; 5. Calvin Vlaanderen (RSA, HON), 234 p.; 6. Jed Beaton (AUS, KAW), 216 p.; 7. Henry Jacobi (GER, HUS), 187 p.; 8. Jago Geerts (BEL, YAM), 179 p.; 9. Thomas Covington (USA, HUS), 166 p.; 10. Michele Cervellin (ITA, YAM), 161 p.